Described as having her own “artistic aperture,” Peggy sees the world around her in intimate moments and memories. A selection of her personal work is now being offered as large-scale, ﬁne art prints for purchase. Curation services are also available. Crafting a wall that speaks volume — a collaborative residential project with Grant K. Gibson Interior Design featuring our oversized “Aﬂoat” print. I love playing with scale by using gallery or museum-sized art, which is totally unexpected in residential living. The blue [of the photograph] is really the statement in this case. 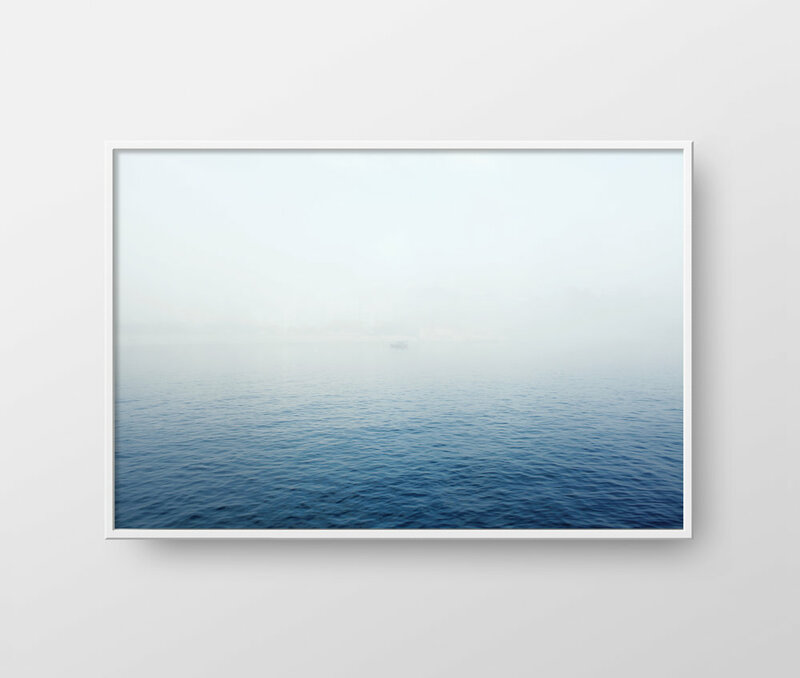 The ﬁrst of our large-scale, ﬁne art prints collection, this waterscape is printed on luster/semi-gloss paper, giving the water texture a highly vivid and saturated look. Please allow one to two weeks of production time. Shipped unframed via FedEx, worldwide. Rolled and packaged in a sturdy postal tube. Reminiscent of traditional ﬁlm, this black and white photo of Lake Michigan is printed on 100% cotton paper. The image’s subtle grainy effect lends itself beautifully to the surface texture of the paper. The creative process begins with the client’s initial ideas on the imagery theme (ie. body of water, landscape, architecture, etc.) Peggy will then curate a gallery of images from her archive that will complement and reﬂect the client’s vision for the space. Commissioned work is also available upon request.